For a couple guys who are about to fill in some big shoes, Brandon Gaudin and Charles Davis certainly sound awfully confident and relaxed. Perhaps it’s what happens after logging seven months worth of voice over studio time. As the new commentators of the Madden franchise, this new duo is well aware of the series’ play-by-play legacy but they also know they’re armed with resources that Jim Nantz or Al Michaels never had. 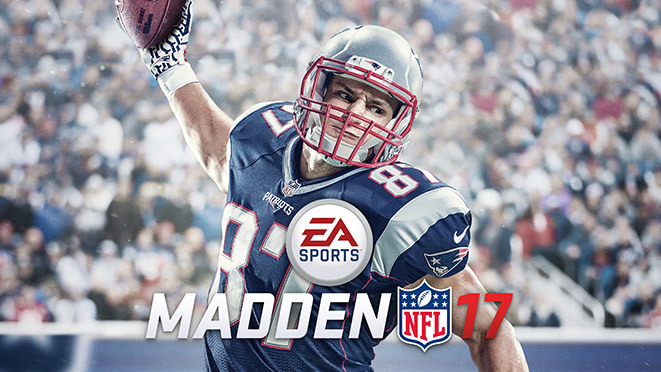 The last three years has been a methodical journey for Madden as it slowly matured into this current console generation. With each release, long standing issues were addressed and community-influenced fixes were made. To say that an overhaul to the color commentary was overdue is an understatement. EA Sports is addressing this in Madden NFL 17 with a brand new script, one that’s notably larger than any collection of dialogue that Pat Summerall ever read. This freshness is underscored by the decision to use different talent, experienced voices but not household names, at least not on a national broadcast level. When listening to Gaudin and Davis recite their resumes, one is reminded of the careers one can make without necessarily graduating to a prime time market. With Brandon, you have the play-by-play voice of Georgia Tech football and basketball and more recently, a commentator for the Big 10 Network and Westwood One. Davis has been in the business since 1997, working for everyone from the NFL Network to Fox Sports. Depending on the demographic, being an a Madden game is as a prime time-level career upgrade as going to Monday Night Football. It’s a very calculated move by EA Sports. The developer/publisher has immense flexibility to mold these guys into their idea of a Madden-branded broadcast duo. It’s not unusual to word-associate “Al Michaels” with “Monday Night Football”. “Gaudin and Davis” can very well become synonymous with “Madden NFL” one day. When pressed for contract details, Madden producer Christian McLeod disclosed that the pair are contracted well beyond this year’s game, though he did not specify for how long. Madden NFL 17 also has the potential to be one of the most newcomer-friendly installments in recently memory. Along with chemistry, experience, and the availability to visit EA’s Orlando studios on a weekly basis, what McLeod saw in the pair comes down to knowledge and history of the sport. “We wanted to make sure that our analyst would hammer into the deep down details of Football 101, 202, 303, et cetera. That includes teaching and educating users who aren’t familiar with Madden, but might be familiar with a certain team or player. They might know Odell Beckham Jr. as the guy who made a famous one-handed catch against the Cowboys last season, but they don’t know that he’s a phenomenal short route runner. When asked about the day-to-day challenges working in the studio, Gaudin explained how the opportunity offsets potential issues with fatigue, “We feel very lucky doing this and when you’re going into a studio to just talk about football, it’s hard to complain. What also keeps it fresh is that every day you’re recording something new, whether it’s safeties, failed two-point conversions, or successful two-point conversions.